Just in time for the 2010 walking season (due in mid-April and priced at £11.99) the Trailblazer guide book for the Coast to Coast is about to be released in its 4th Edition. You may remember that after reviewing the 2nd Edition of this guide book I basically said it was the one to carry with you on the walk – let’s see if that’s still the case. There has been a new arrival on the C2C guide book scene since the last edition of the Trailblazer guide – the rather underwhelming Rucksack Reader guide and one or two of the other guide books have been updated too. Trailblazer haven’t rested on any laurels though and the new guide book has some great new features. 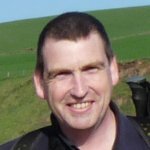 The first thing to note is the book has a new author – although the book is still attributed to Henry Stedman and will probably still be referred to as “Stedman’s guide” by many, it has been largely rewritten by Chris Scott, who revised the Trailblazer Pennine Way guide book last year. Chris brings a no-nonsense, good humoured style to the written text of the book and I’m a great fan of his often tongue-in-cheek approach to writing. The maps have also had an overhaul, with a larger type face – still in that traditional hand written style – but now much more readable as you’re walking along. Many was the time in the past when I had to pause for a second to focus on a phrase – but maybe that was just my aging eyesight. The new larger font is easily visible as you bounce along the track with book in hand. As with the Pennine Way guide, the Coast to Coast guide now has added GPS waypoints. 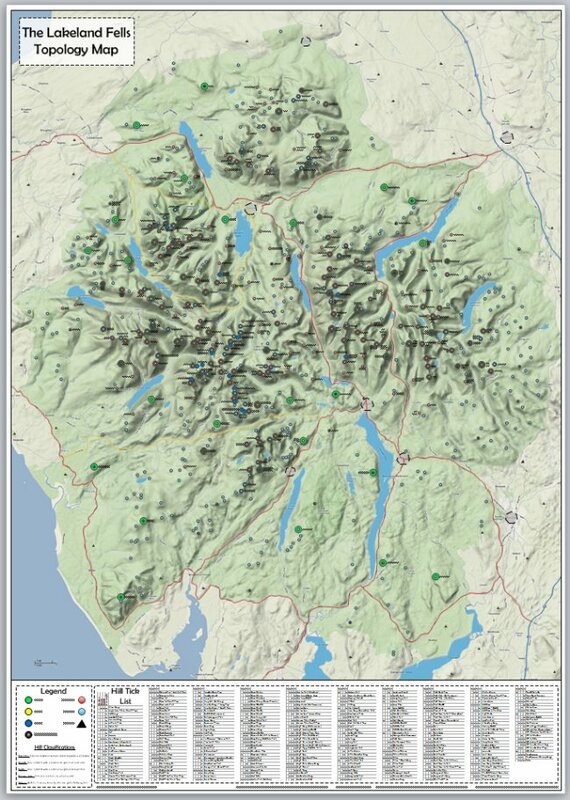 Each map is peppered (in a good way) with several small GPS icons that directly relate to a GPS waypoint that you can download from the Trailblazer website and load into your navigation tool of choice. These are located at key changes in direction or important points along the route. In most cases you won’t need them – the Trailblazer maps are still the best on the market and although you should never walk without the full OS map, they are still all you really need to navigate the Coast to Coast. All the usual Wainwright alternatives are covered in the Trailblazer guide, one of the major omissions from the recent Rucksack Reader guide – if you want to walk high over Helvellyn or St. Sunday Crag then you have the same level of detail as you do if you’re content with walking down through Grisedale. Similarly if you prefer to walk through Swaledale between Keld and Reeth you’re covered. No modern guide book should be without an Internet site of course and Trailblazer are showing what can be done with the near real-time medium of the Internet in conjunction with a printed guide book. 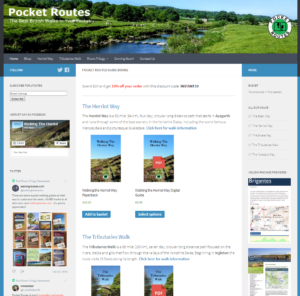 Have a look at their Pennine Way site and you’ll see a number of route notes that have been added since the guide book was launched. These will follow for the Coast to Coast in due time of course. The Internet site also allows you to download the GPS waypoints for the route. Nearly every photo in the book has been updated, most of them taken by Chris Scott, but with one or two submissions from other people who have walked the route. There still aren’t enough full colour pages in the book – probably my only complaint about this guide, but the rest of the content more than makes up for this. Let’s just consider colour for a moment though. I would love to see the Trailblazer maps in colour – they are eminently readable in black and white, but I’m sure they’d be stunning in colour. However, in order to print in colour you must trade off in other ways – it’s more expensive to print in colour of course so the guide either becomes more expensive, or you reduce the number of pages. I don’t think either option would be an acceptable trade-off for a colour guide book. The Rucksack reader guide went down this route and although it’s a stunning looking guide book it lacks the depth of detail that’s needed for a 200 mile walk. There are a couple of other comparisons we could make here too. The Trailblazer guide weighs in at 314g – a mere 34g heavier than the Rucksack Reader guide. However, it has 250 pages compares to RR’s 112 full colour pages. TB has 109 highly detailed, beautifully hand-drawn maps compared to a mere 29 maps at a scale of 1:50k, albeit in full colour in the RR guide. Colour is all well and good, but I’m happier with more detail and black and white I think. As with the Pennine Way guide book, Chris Scott has tried to include short pieces of text from walkers; asking them what they would do “Next time I walk the Coast to Coast…” there don’t seem to be as many as with the Pennine Way guide, but it’s still a nice addition. In summary then, this is still the definitive Coast to Coast guide book and if anything Trailblazer have raised the bar for other publishers to reach. The level of detail is unsurpassed. You could pick this book up and never use another resource from the first stages of planning to arriving in St. Bees. You could find accommodation, identify public transport to get you to the start, book a baggage carrier, know where to eat in every village along the route and of course find your way as you walk it. No other guide book is as complete as this. Peter, you pretty much can’t go wrong with this guide book, it’s a fantastic resource.